This empty can of vintage Krylon spray paint can never would have thought it would be brought back from the dead to bring light into the lives of people. What a great honor for this piece of urban waste from Portland, Oregon! 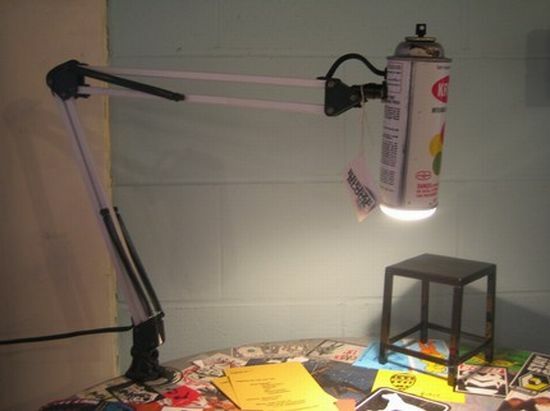 Custom made into a designer light fixture with a cute spray nozzle serving as the on/off switch, the spray paint lamp also features a brawny arm that can be clipped onto and desk surface. Very eco-friendly if you donât count the energy guzzling bulb it holds!